Want us to fight the fight? Bob "Moviebob" Chipman and Tim will fight the big fight and step into the ring with the original Rocky from 1976. We'll discuss the relationship of Sylvester Stallone to his most famous role, explore how the film conforms to and deviates from social conventions regarding sports movies, and comment on the movie's representation of the American Dream. Warning: Contains spoilers, explicit language, and discussion of Lt. Worf's televised dishonor. Want to brag about how many egg yolks you can down in a single gulp? Feel like you could eat lightning and crap thunder? 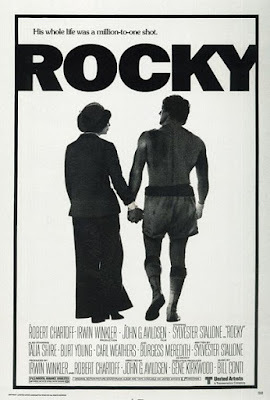 Have any thoughts on Creed, the latest entry into the Rocky franchise? Leave a comment and keep the discussion going.